I Listed All of the Great Wolf Lodge Coupons Here! 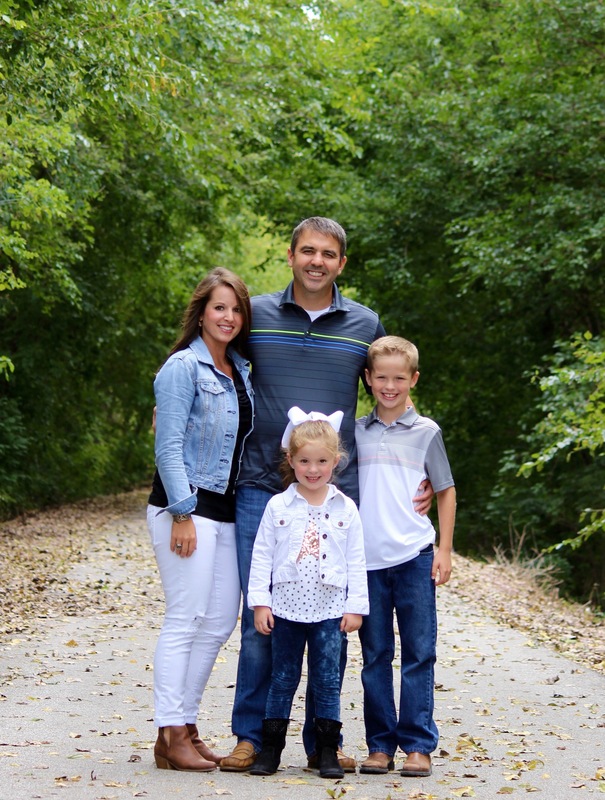 Our family absolutely loves getting away together, and like most families, the smaller getaways are a lot easier. Which is why I am always on the hunt for Great Wolf Lodge coupons. Great Wolf Lodge is one of our favorite places to go and we’re so lucky that we have two Great Wolf Lodge locations near us, within a three hour drive. 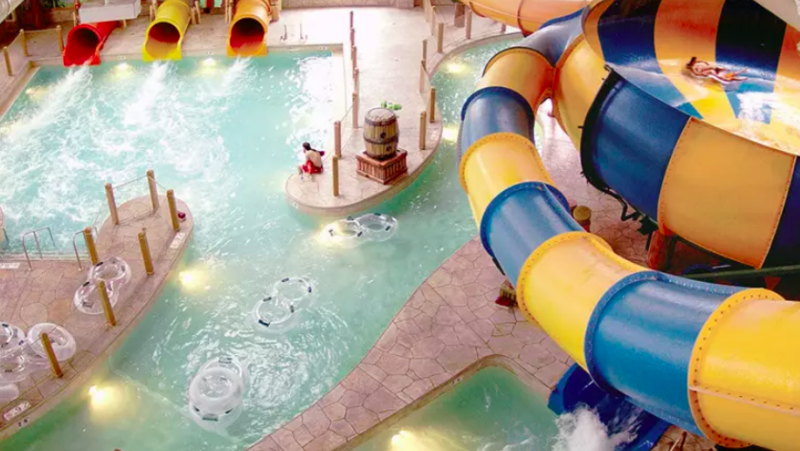 To save money on Great Wolf Lodge, Groupon is usually the place I head to first, but there are several other places to find Great Wolf Lodge deals. 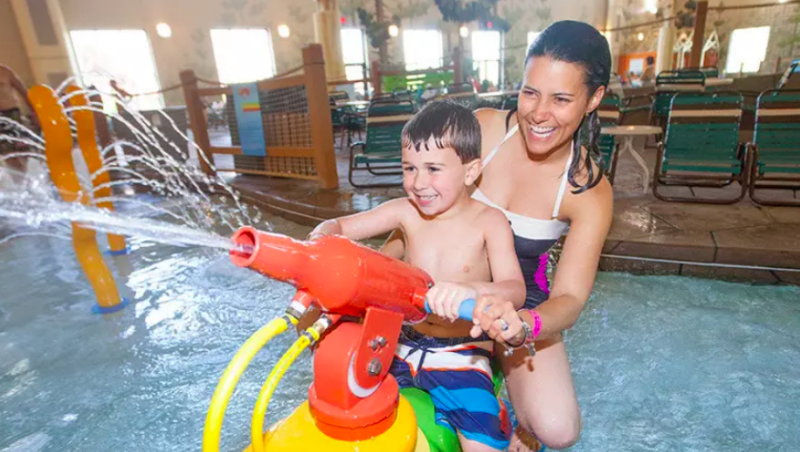 I’m sharing all of my secrets on how to get Great Wolf Lodge discounts in this post, so be sure to keep reading if you’re looking for the most current and lowest Great Wolf Lodge prices available. Tip: There are several keys to saving on your Great Wolf Lodge stay, so be sure to read all the way through this post. When kiddos are young, or you’re traveling in a group, Great Wolf Lodge is a great place to be. You’ll find the resort feel without the resort prices, and you’ll likely be able to drive since there are several locations. But, getting a deal is never a bad idea, so knowing the ebb and flow of the Great Wolf Lodge hotels and their pricing is a good thing. 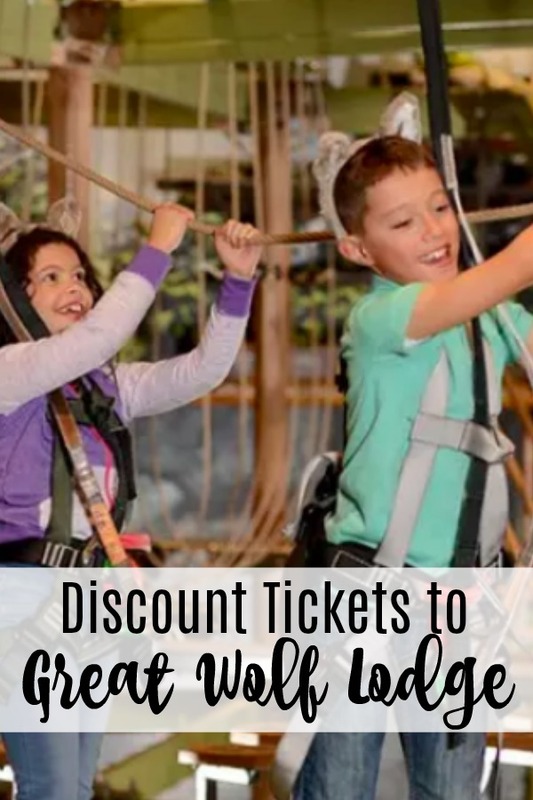 Let me tell you all about getting Great Wolf Lodge coupons, Great Wolf Lodge discounts that are available down to what to pack when you visit Great Wolf Lodge. What are the best places to find Great Wolf Lodge specials? There are three top places that I always look for Great Wolf Lodge specials. Groupon, Living Social and the Great Wolf Lodge site. LivingSocial: LivingSocial is also a great place to look for a Great Wolf Lodge deal. 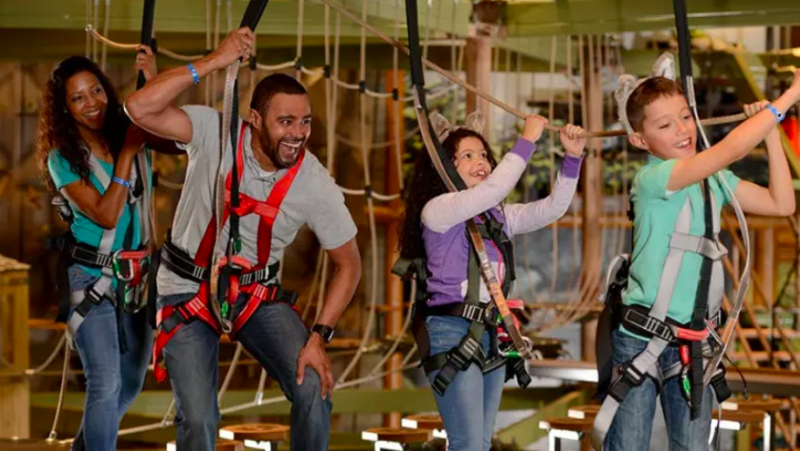 I will say that Groupon has these deals more often than Living Social, but it’s definitely worth a look – see all of the Living Social Great Wolf Lodge deals here. Great Wolf Lodge website: If there are no Great Wolf Lodge Groupon deals, and if Living Social is a bust, your next best bet is the Great Wolf Lodge website. Every once in awhile they’ll have a really great promotion running, but most often i find that you’ll get the best offers once you’ve stayed atleast once at one of the resorts. Orbitz: It’s worth a shot to check and see if the Great Wolf Lodge hotel that you’re looking to stay at is on Orbitz – you can do that here. When is the best time to stay at a Great Wolf Lodge location? This might seem obvious, but I would say that the best time to stay at Great Wolf Lodge is when you can get a stay on sale. I don’t think paying full price is ever necessary. Although, it’s more likely that you’d have a less crowded hotel, right? Can you purchase Great Wolf Lodge Tickets separately? Are Great Wolf Lodge coupons ever printable? Great Wolf Lodge coupons aren not generally printable that I’ve ever seen. But, there are plenty of electronic Great Wolf Lodge waterpark coupons at the places that I mentioned above, so you should be good to go with those. Do the Great Wolf Lodge deals ever include the Paw Pass, Pup Pass or Wolf Pass? Yes! And, sometimes Great Wolf Lodge Groupons even included a resort credit. If you are going to a Great Wolf Lodge with lots of activities (rock walls, ropes courses, etc.) I highly recommend getting the Wolf Passes as those are the passes with the highest amount of things to do on them and some activities are even unlimited. Be sure to check out the activity passes when you book as they’re less money than buying them outright when you check into the hotel. What are the must-have items to pack and bring to Great Wolf Lodge? We have been to Great Wolf Lodge hotels enough that I’m kind of a self proclaimed pro when it comes to what to pack to go to Great Wolf Lodge. Here are the items that we always bring with us. Note: You do not need to bring a life jacket to Great Wolf Lodge hotels as they’re all provided and on handy racks right when you walk into the water park area. Another important note about Great Wolf Lodge hotels is that there is a refrigerator and microwave in every room, making bring snacks and storing leftovers really easy! That’s my must-have list – do you have anything to add?